But illegal poaching might destroy it forever. Why are these animals killed? Endangered animals are slaughtered so that a single body part – like tusks, pelt, or bones – can be illegally sold for huge sums of money. the demand for rhino horn is exceedingly high; it can sell for as much as $60,000 a pound. Gold, by comparison, is worth over $18,400 per pound. ivory is carved into: jewlery, utensils, religious figurines, trinkets. worth the life of an elephant? no. Illegal ivory can command as much as $1,000 on the black market. Zebras are hunted for their skins. They are also occasionally used for meat or medicine. Wildlife officials have observed a recent surge in trafficking of infant gorillas. They are sold for up to $40,000. Due to recent habitat loss, many lions live close to humans and are killed by farmers in retaliation for preying on livestock. The vast majority of poaching is caused by organized crime syndicates that use high-powered technology and weaponry to track and kill many animals at once without being detected. at current paching rates, elephants, rhinos, and other iconic African wildlife may be gone within our lifetime. Protect Wildlife: We recruit, train, and equip our scouts with advanced tools like satellite phones, GPS, and all-terrain vehicles to help them safeguard animals. Conserve Land: In tandem with anti-poaching efforts, we establish wildlife corridors – large sections of land that allow animals to move from one national park to another. Educate the Public: We work with conservation groups and governments to raise awareness of poaching, illegal trading, and dwindling wildlife populations. Provide Livelihood Alternatives: We work to provide alternative means of livelihood to local communities so wildlife is not harmed in order to sustain the local economy. 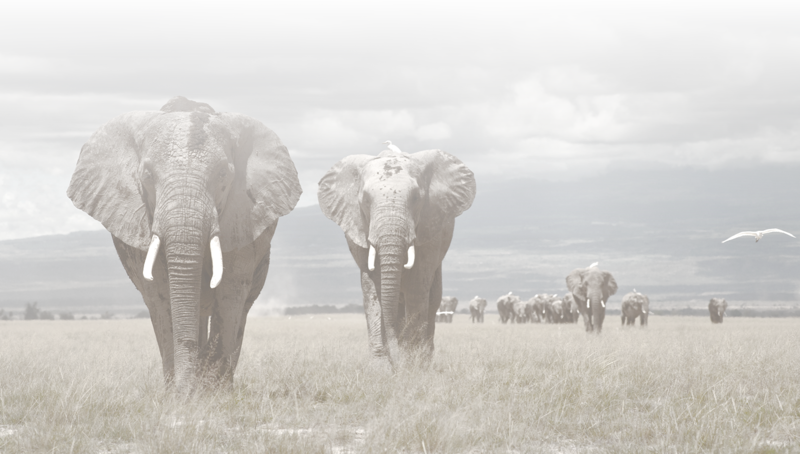 Join us in the fight to protect and preserve Africa's wildlife and wild lands. The African Wildlife Foundation is a 501(c)3 nonprofit organization. For tax purposes, our EIN is: 52-0781390. Within the limits of law, your gift is 100% tax-deductible. The African Wildlife Foundation (AWF) is the leading international conservation organization focused solely on Africa. We believe that protecting Africa's wildlife and wild landscapes is the key to the future prosperity of Africa and its people — and for over 50 years, we have made it our work to help ensure that Africa's wild resources endure.